The homeowners apparently were so good in creating the said decor that it looked so real from afar, and from the perspective of strangers passing by. “The man in danger” was nothing but a dummy created by Chris Heerlein’s family. 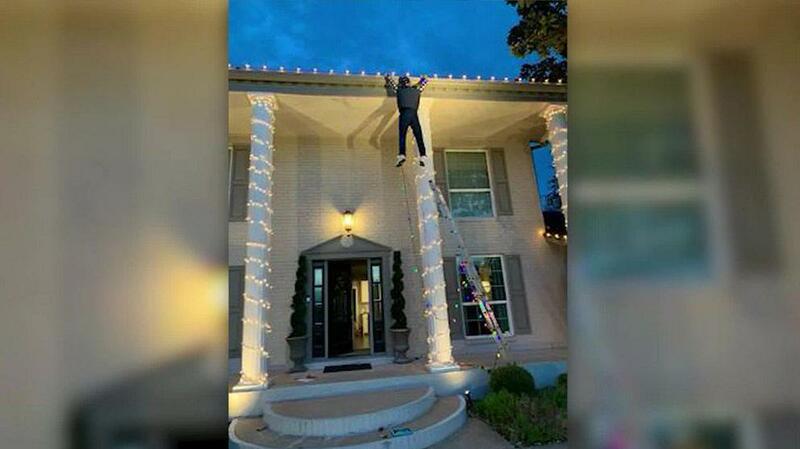 The decor was meant to represent Clark Griswold dangling from the gutter of their home. The man did not stop with his own efforts, he also called the police to report the matter, and possibly ask for reinforcement. The police arrived and advised the homeowners that they were getting some frantic and concerned calls about the said display. The family also hopes to reach out to the man who showed so much concern and even exerted efforts to help whom he thought was a man in trouble of his life and safety.